Q10: If someone who knows nothing about sailing, nothing about boats and yachting, were to ask you about the Fastnet Race – what would you say to them? Is in the human nature. You want to go there because is there. Its one of the premier ocean yacht races that most sailors would love to do and there’s a great after race party. 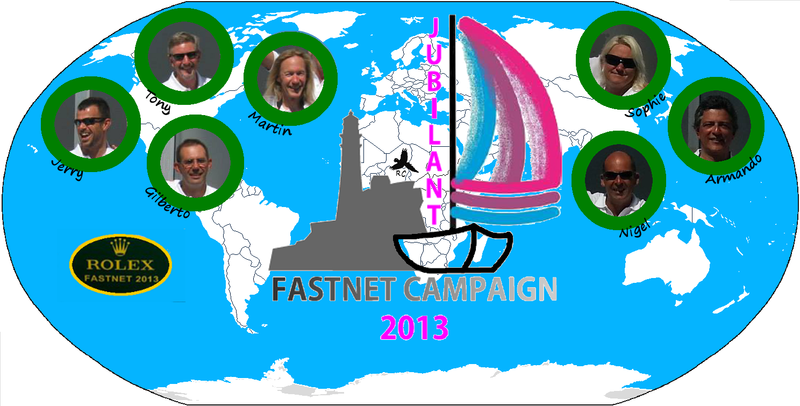 The Fastnet Race is like the London or New York Marathon of the sailing world… It is something you have to work towards. It has a fearsome reputation (at least in my mind) and is not to be taken lightly. Completing it feels like a real accomplishment that one can be proud of. To succeed you have to know what you are doing and function well as part of a team … Spending days in a small space in constant motion is a quick way of finding out about yours and other people’s weaknesses and strengths …. coming through it is a strong bonding or divisive experience. This was the last of the official post-race questions posed to the Skipper and crew shortly after the race was over and they had returned home, but there will be answers to an extra question!